Smart lock products have been increasingly more popular nowadays, and there are certainly a lot of options in securing your front door. So, when discussing the Otto smart door lock, we might wonder whether we need another smart lock products on the market, especially with the price tag. The Otto is indeed, one of, if not the most expensive smart lock products available for pre-oder today. With an expensive product such as Otto smart lock, our focus will be whether the price tag is justified with the features and the values it brings. Being a very new brand, you might wonder whether Otto can deliver a quality that can answer the price tag. 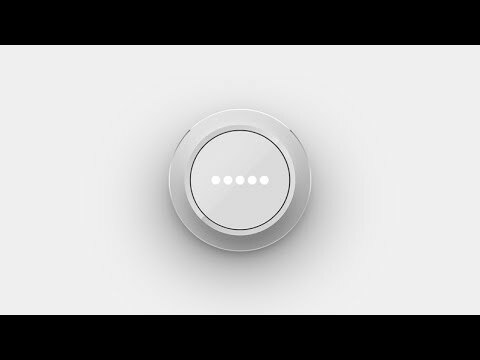 It is important to know that Sam Jadallah, the CEO of Otto is a former executive of Microsoft, and has recruited engineers from Microsoft and Apple to work on this smart lock. The result is a very beautifully designed product akin to Apple’s standard. It is much smaller than say, the famous August smart lock, and is very well-designed with a modern-looking LED-illuminated surface. It is also very durable with an all-steel material except for the glass front. How will the other features fare? Let us start this Otto smart lock review by discussing its key features. With a purchase of Otto smart lock, you will get a complimentary concierge installation, which is a really nice touch. Installing a smart lock can be tricky, especially since you will need a properly aligned door. With the Otto smart lock, you can ensure that the rather pricey lock will be installed perfectly. Yet, Otto has confirmed that this complimentary installation will be a limited offer, and at some point, it will be a paid service. The best highlight of the Otto smart lock features for us is the very beautiful and compact design. At least for the looks aspect, the Otto smart lock justified the price tag. We especially really liked the intuitive rotary design and simple LED screen, which is not entirely about looks. We will further discuss the LED screen below. Not using your manual keyhole is the original point of a smart lock. However, a numeric pad can also be attacked by hackers. Understanding that issue, the Otto smart lock removes both, the most vulnerable aspects of locks. To unlock the Otto, you can connect the authorized phone with the same Wi-Fi, or by entering an access code. You can rotate the Otto unit where the LED will display different number, and press the glass front to confirm the access code. For guests, you can give either full or a one-time access. Otto used seven different grades of stainless steel to build a very durable lock. In fact, the final product has passed extensive durability tests before release. First things first, Otto smart door lock can distinguish whether an authorized phone is inside the home or outside. It seems simple but is actually a very important feature. With this, we can avoid someone to be able to unlock the Otto simply because your phone is left inside the house. Otto also used PKI encryption and asymmetric cryptography, which is still un-hackable today. You can be confident about the security the Otto provides. Otto smart lock available right now for pre-order only and we will update this article as soon as we will receive the lock. But for now I will share here my expectations. Smart lock comes with complimentary concierge installation, but for I will install it my self because its pretty straight forward and easy Since I already have a deadbolt roughly the same size as the Otto, the process should be fairly simple. However, if you aren’t comfortable to install it yourself then I recommend to use the complimentary installation service if you have a chance. The Otto smart lock unit itself by the video and pictures looks really solid and sturdy and is really well designed. Again, we will mention that for its price tag, the looks aspect alone is worth every penny. I especially really liked the front LED glass panel, which is really good looking with a minimalist design. The unit itself is powered by two CR123A batteries, which Otto claimed that they should last for two months before we will need to replace it. When the batteries are running low, you will get an alert on both your phone and on the LED screen of the Otto unit itself. What if we fail to change them? Well, the lock will run into standby mode and run using a backup battery. This brought a major issue, if that backup battery completely dies, the lock will be completely inaccessible from the outside. However, Otto claimed that the backup battery can last for a year and a half, so this shouldn’t be a major issue. By the screenshots the app itself looks very well-designed and intuitive. You can opt to use the proximity feature, where the Otto will unlock once your phone connects to your home’s Wi-Fi. For those who Wi-Fi signal doesn’t reach the front porch, you can opt to use a passcode, which you can enter to the Otto by rotating the unit and pressing the LED screen. You can also use the same feature for guests. As mentioned, Otto can detect whether your phone is inside the house. So, if you accidentally left your phone inside, you will need to use a passcode to unlock it. I hope you liked our pre-review of Otto smart door lock and lets finish it with a verdict. And I will update the review as soon as I will receive Otto for review. Feature-wise, the Otto is excellent and is very secure. The price tag might be very high. However, we should remember the case of the Nest Thermostat, which also used to have a premium price tag, but is also one of smart home’s biggest success stories. With a totally keyless design, it is indeed very secure. However, you will need to be careful about several aspects we have discussed above, especially regarding its battery life. Without the ability to use a manual lock, a bricked Otto unit will also leave you with no real backup plan. Nevertheless, if you do have the budget, the Otto is definitely one of the best smart lock choices available for pre-order today.